The release of "Far Cry: New Dawn" is only a few days away. The new gameplay video serves as a good mood. 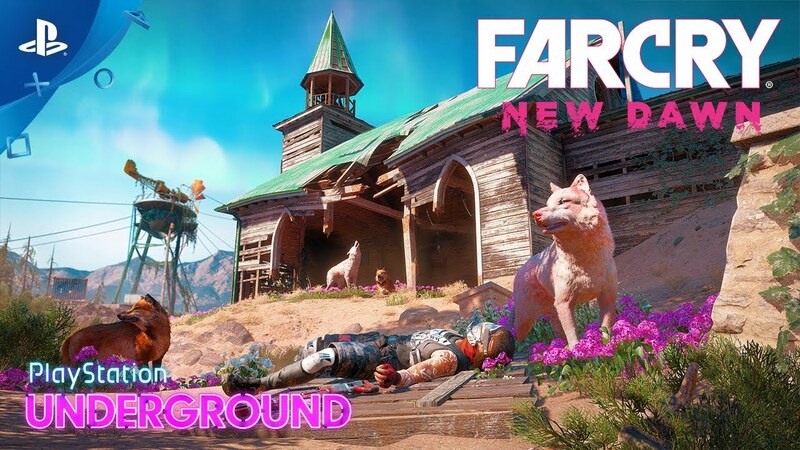 PlayStation Underground has released a new gameplay video for Far Cry: New Dawn & # 39 ;, which gives a better impression of the game world. We see an old aircraft carrier and a former amusement park. "Far Cry: New Dawn" will be released on February 15, 2019 for the PC, the Xbox One and the PlayStation 4. It said: "Developed by Ubisoft Montreal with support from Ubisoft Shanghai, Ubisoft Kiev and Ubisoft Bucharest, Far Cry: New Dawn is a first-person shooter in a completely open world, the stand-alone sequel to Far Cry 5, Far Cry: New Dawn puts players into a post-apocalyptic world where they encounter a double threat – twins Mickey and Lou – players will have a large selection of helpers and quadrupeds as companions, but can also recruit a friend for co-op games to make them memorable Far Cry experiencing moments when everything can happen. "